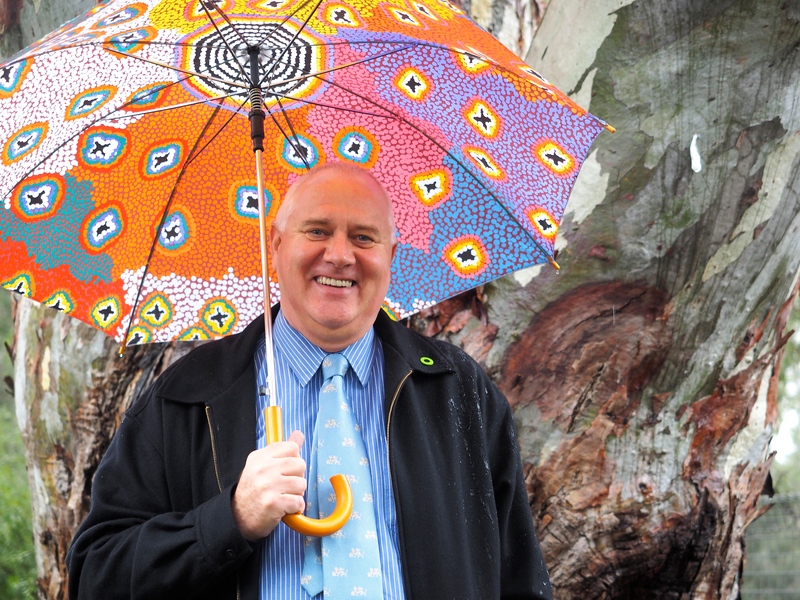 I’d like to share a story I wrote about primary school principal, Andy Best – a quiet achiever in the realm of environmental education in Australia. I first met Andy in the café during Al Gore’s Climate Reality Leadership training in Melbourne last year, and he told me about his school, Harrington Park Public School in NSW, becoming Australia’s first Eco-School. That’s what the 6-page feature story that I wrote for a gardening magazine is all about … but it’s also about acknowledging Andy’s great leadership work, both within the education sector and the broader community. Andy Best in the indigenous garden at Harrington Park Public School. Sharing the stage with Al Gore at the Melbourne training, as part of a session on education, Andy acknowledged Al as an important inspiration and mentor. Leading the way in terms of showing what’s possible in sustainability education in Australia, this humble teacher and school principal has actually gone on to inspire many others and become a mentor himself. At the end of the year Andy will retire as Principal of Harrington Park but he will continue to assist with the roll out of the Eco-Schools initiative in this country. Best of luck with this new role Andy – and thanks for all the great work that you do in the spheres of climate change advocacy and education for sustainability. A totem pole in the school grounds. 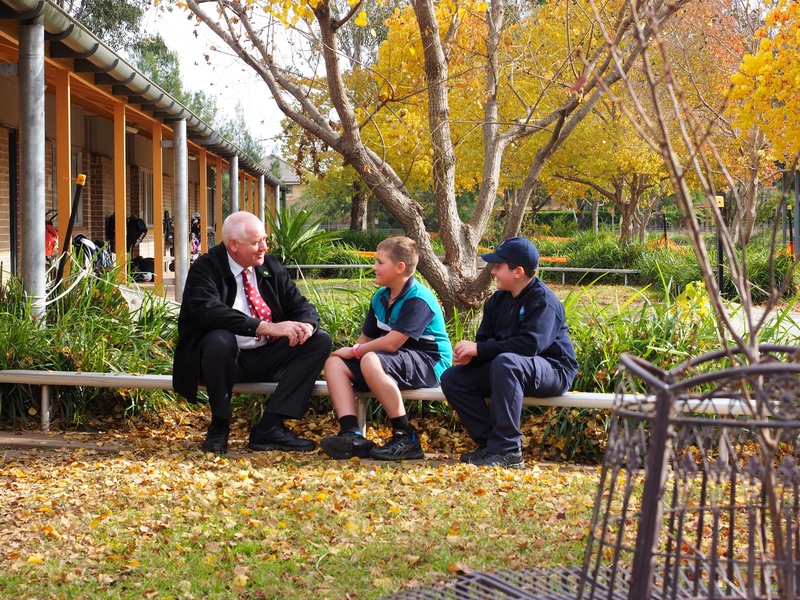 Principal Andy Best chats to some Grade 6 students. Students Codi and Nicholas share Andy’s interest in the environment and sustainability. The feature on Andy Best/Harrington Park Public School appeared in ‘Your Vegie Patch’ magazine (Vol 5 No.6) – a gardening publication reflecting the revolution occurring in ‘urban agriculture’ and the increased interest in living more sustainably and ‘growing your own’. Both education and communication will remain important keys in assisting people to make the transition towards more sustainable ways of living. 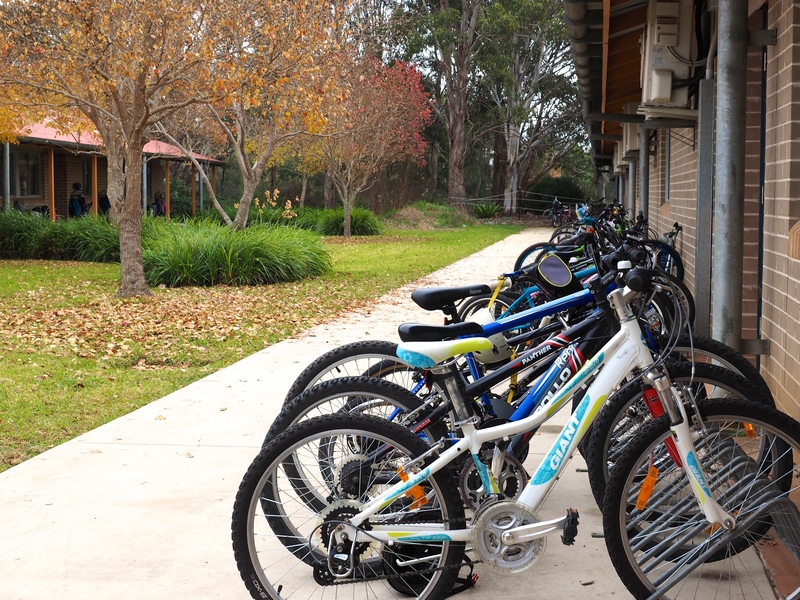 Bike riding is a popular mode of transport at this school.